I like my coffee au lait, my men EXTREMELY normal and in no need of "fixing" whatsoever, and my shoes weird. 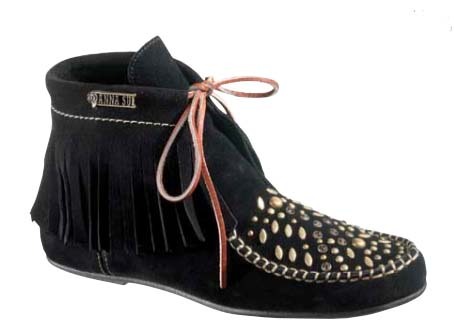 So these Anna Sui x Hush Puppies are pretty much perfect. 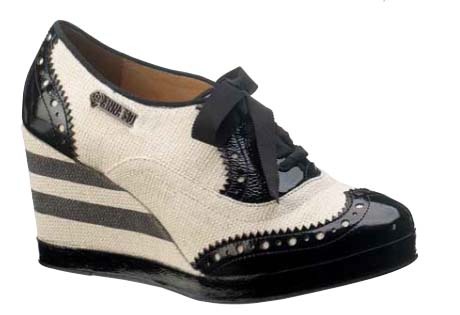 A canvas Oxford with a striped wedge? WHO DOES THAT? Anna Sui does. Seriously, these make me wanna grab a top hat and cane and sing "Steppin' Out With My Baby." Love a fringy moc for the weekend. Look for Anna Sui's Hush Puppies collaboration in stores this April.